Event Solutions is headquartered in Lafayette, LA, with an additional location in Sulphur, LA, offering portable restrooms and sanitation services along the Gulf Coast. 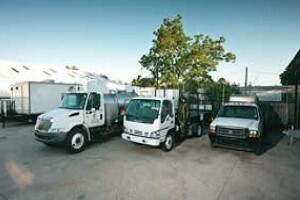 We have grown to be one of the premier portable sanitation companies in Louisiana. Our innovation and professional expertise, along with the latest technology, are the keys to our growth and success. Our portable restroom service vehicles are equipped with the latest technology including 1500 gallon aluminum tanks, which are dual service, equipped with 1250 psi pressure washers for thoroughly sanitizing units, rear toilet racks for pick-up and delivery on route and a complete set of tools and parts for doing field repairs to units when servicing. Event Solutions continues to be an industry leader in the use of technology to better service our customers. Our portable restrooms are serviced on scheduled route day(s) by well trained friendly technicians who are monitored by using a truck mounted GPS system as well as our formal route quality control inspection program. The experienced staff at Event Solutions has been in the rental business for over 14 years. Along with our affiliates Party Central of Lafayette, Inc. and Deep South Containers, we are able to provide you with everything you need to plan a successful event. From tents, tables, chairs, staging, lighting and sound, glassware, linens, portable restrooms, dumpsters and much more – we have the solutions you need. Event Solutions has locations in both Lafayette, LA and Sulphur, LA to better meet the demands of our expanding geographic service area. By remaining in the center of our major service areas, we can dispatch equipment quickly and efficiently. During our 14 years in the portable restroom business we have strategically acquired local sanitation companies. These acquisitions have expanded our service area and allowed us to provide customers with a larger selection of services, 24/7 availability, lightning fast deliveries and a dedicated staff that truly loves what they do.